Frankincense, Sacred Essential Oil (Boswellia sacra) is also commonly known as Olibanum, Olibanum Tree Oil, and Sacred Frankincense. Frankincense, Sacred Essential Oil has a medium-strength balsamic, rich, warm, slightly spicy, sweet, and woody aroma presenting a base fragrance note. Frankincense, Sacred Essential Oil is part of the Rocky Mountain Oils Skin Care and Wellness collections. This rare oil, when properly diluted with a carrier oil, may help improve the appearance of all skin types while toning and tightening the skin. The oil also may help fade the appearance of scars. Frankincense, Sacred Essential Oil enhances deep meditation, working to balance emotions and lessening feelings of loneliness, frailty, and grief. Use the oil to help combat stressors. All types of Frankincense essential oil share similar properties; however, there are several differences that make each type of Frankincense unique. Frankincense, Sacred has a balsamic, rich, woody, warm, sweet, and slightly spicy aroma with its sweet woodiness as the most pungent. Frankincense, Sacred is a rare essential oil, and many people consider it to be the most therapeutic and highly sought-after essential oil in the world. Frankincense, Sacred comes from the Boswellia sacra tree, which is only found in Oman. The Oman desert landscape is harsh and challenging with rocky slopes and chalky soil. Such conditions make it impossible for any other type of Boswellia tree to survive. This makes the type of resin from the Boswellia sacra tree rarer than the resin of its cousins. The resin from the Boswellia sacra tree that we use to create the essential oil is collected before it completely hardens. This keeps the resin, and the oil, in its purest form. Frankincense, Sacred contains 20% more alpha-pinene than other types of Frankincense. Alpha-pinene provides great therapeutic benefits for skin, oral health, the immune system, and the respiratory system. Learn more ways to use Frankincense on the Rocky Mountain Oils Recipe Book! Non-toxic, generally non-irritating. Can be skin irritating if oxidized. Kids Safety: Safe to use topically with children 2 years of age and older. Dilute to a 1-2% dilution rate for topical application. Wonderful oil, worth every penny. I have tried it for a week now (as recommended with a carrier oil); glides on well. My skin usually breaks out when I use any oil product of any kind, but no breakouts so far with the avocado and Frankincense oils. Works very well for skin care! I had heard that RMO Frankincense oil was the absolute holy grail of oils, so I bit the bullet on the cost. It's true. It's exquisite.You get what you pay for. This baby is like gold. I mix a drop into argan, or jojoba oil and use it all over my face and neck. It’s. Been a part of my weekly regimen for a few years now. It makes my skin so soft. I’m 39 and everyone thinks I’m in my 20s! I really love this sacred Frankincense. I use it in my facial moisturizer and in my diffuser at nighttime. I also use it in my homemade mouthwash. RMO is great quality that I can trust. I took a few drops of the oil and added it to some Jojoba oil as my carrier. I experienced phenomenal relief from the pain I was having in my joints of my hands and ankles. I rub a few drops over the areas a couple times a day. GREAT relief!! I love this essential oil! I use it daily. Thank you RMO! Best oil ever. Wonderful scent and helpful with skin issues. Quickly resolves blemishes Highly recommend this EO fromRMO. Other vendors quality not the same as this one. I loved your frankincense and would recommend it. I Felt rating 5 stars was not fair to the scared frankincense. Such a wonderful eloquently captured scent. Love this oil so much. I purchased a small bottle of Sacred Frankincense oil and put a few drops in my diffuser nightly at bed time. I love the soothing scent and it has helped me sleep well. I am ready to get a large bottle this time and take the advantage of 30% off. I have been using Frankincense and coconut oil mix for my face, neck and hands. I have received so many compliments in the last year about how nice my skin is and the tone is so even. It even helps my skin on my hands look younger. Love it better than any other skin care product I've used before!! Sacred Frankincense is my favorite mood lifter. I love this oil. It is my favorite of all the oils. The sacred frankincense, while more expensive, is definitely worth it. I use it in a diffuser at night, with coconut oil for my face, and have the bottle handy to just open and smell from time to time. It seems to give me a psychological life in these troubled times facing our world. I believe it is high quality and pure. I already have noticed a difference in the application I am using it for, after only a few days. I received exactly what I order and it arrived on time. It smells wonderful! I have tried many brands of frankincense oil but this was the highest quatlity of frankincense oil I have purchased. I'm very picky about my oils and this company is awesome. This oil was exactly as advertised and is already helping so many people. Timely delivery. I had experienced difficulty with my first order. Customer service responded quickly. This order arrived without incident. There is no better Frankincense anywhere! I haven't used it for very long yet, but I like the smell a lot better than another brand. I’m so excited to use this product. My favorites. I add a drop of Sacred Frankincense to my tohi hand and body cream. Use it every morning and night, love how it feels on my skin. Smells wonderful to. Great product! My friend who knows Frankincense thought it was a nice smelling one. I use this on my face and love to smell it right out of the bottle. It is so pleasant and calming to me. I use frankincense for my moisturizer, it works vey well. Instant pain relief. I've tried six other brands, all supposedly top ten, a few were more expensive. RMO is far superior to ANYTHING else. This is my "go-to" EO. Now I know what it's supposed to smell like too. Love it so far - I use it for everything! Smells amazing! Love this oil just wish it wasn’t so expensive. I love it! Smells amazing. The sweet aroma puts me to sleep at night. Love the smell of this one! I have a the F. Serrata from RMO and I have to say this scent is much better. I did more research and read that it's not necessary to use a carrier oil with the sacred Frankincense so I've been applying it straight with no issues. My patient's love the fragrance for calming. Sometimes I'm using in on lower abdomen to help with opening and relaxing the pelvis, sometimes on an eye pillow to inhale and relax. I'm still new with this one, so I plan to play with it a bit. I'm glad that they had the sale price last month or might not have splurged on this one. It is lovely. Amazing oil, amazing benefits!!!! It is my favorite. Highly recommend. It is looking like sacred frankincense might be my absolute favorite oil. Still learning all the benefits but the smell is amazing and diffuses well with just about anything. Love it!!! 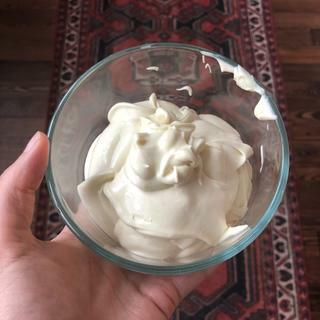 It smells great and was easily incorporated into some homemade lotion (my dad is about to undergo cancer treatment so I made some essential oil magnesium lotion). I made some lotion with frankincense and it smells great! RMO Sacred Frankincense is the best frankincense I've EVER used, and I've tried so many. Thank you, RMO!! 1st purchase with RMO--very pleased! Just as advertised and the smell is lovely! I know RMO can't legally answer this, but as customers, what has been your experience with Sacred Frankincense for spots on the face or skin? I’ve found other reputable brands of Frankencense Sacred for much less $. Can you explain why the cost on this oil is so high? BEST ANSWER: Our Sacred Frankincense oil is sourced from ancient Frankincense trees in Oman, where the country's climate and agricultural conditions nurture the strength and potency of the oil. Our Sacred Frankincense is the most powerful known variety of Frankincense on the market. What is the difference in this Frankincense oil and the other Frankincense oils that you offer? BEST ANSWER: While all of our Frankincense oils share similar properties, all contain unique levels of potency. Sacred Frankincense is the most potent variety that we carry and is the most powerful known variety on the market. Sourced from Oman, where the climate and growing conditions nurture its strength and potency, Sacred Frankincense is one of our best-selling oils. Frankincense carterii follows Sacred Frankincense in potency and Frankincense serrata is the least potent of the three. Because the therapeutic properties are the similar, choosing a variety of Frankincense depends on the strength of the oil you need as well as the price point you prefer. Thanks to the three varieties that we offer, all customers can enjoy the benefits of Frankincense without having to purchase the most expensive available. This one smells different - more earthy -and has more medicinal properties. BEST ANSWER: It is hard to compare as we carry 3 different types separately. While all of our Frankincense oils share similar properties, all contain unique levels of potency. Sacred Frankincense is the most potent variety that we carry and is the most powerful known variety on the market. Sourced from Oman, where the climate and growing conditions nurture its strength and potency, Sacred Frankincense is one of our best-selling oils. Frankincense carterii follows Sacred Frankincense in potency and Frankincense serrata is the least potent of the three. Do any of you take the RMO internally? I have quite a bit but was told that you can only take Doterra or YL internally. I usually put a drop of this on crown of head daily as I have sinus issues. I also have put a drop on the pad of my thumb and rubbed it on the roof of my mouth. I have never had any issues using these two methods. I do think this is one of the best frankincense oils I have found - just as good ad YL and Do terra. I don't mix capsules or cook with these, but they have come out with some organic ones that I wouldn't hesitate to use internally. If you read the descriptions on this site, they do not recommend internal use. I think because of FDA repercussions. This is my favorite oil -- pricey as it is. I asked about this in a call to RMO. 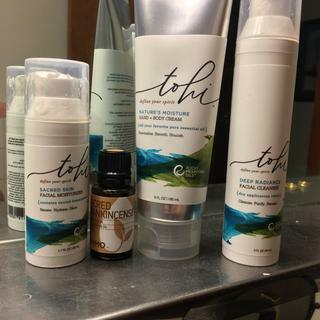 I was told that they are of the quality to take internally, but due to the strength of the oils, they do not make any recommendations about using them that way. In other words you can use them internally, but it is up to you/health practitioner to figure out how much and whether or not you should. Do you need a carrier oil with this for the neck? BEST ANSWER: We recommend diluting the oils when applying topically. Our general dilution rate is 1-3 drops Essential Oil to half a TSP carrier oil. Imo it's never safe to use any essential oils without a carrier oil because in time you will desensitize yourself to them. So my answer is Yes. You need a carrier oil. Yes it is, there is no dilution here. BEST ANSWER: All varieties of Frankincense essential oils do share similar properties and therapeutic functions. The difference is in the growing conditions and the regions they come from. All three varieties that we carry will smell different from each other as well as have different dominant constituents. This is due to a slight variance in chemical makeup brought on by the different growing conditions. Some examples to share would be that Frankincense Sacred is high in alpha-pinene. This is a great component for skin care. Then you have Frankincense Serrata, which is higher in alpha-thujene making it a better option for an uplifting mood. Because the therapeutic properties are similar, choosing a variety of Frankincense depends on the aroma, the dominant constituent of the oil as well as the price point you prefer. Thanks for the reply. That does make some sense. So I purchased Frankincense mainly to use in a headache blend I make which is targeted towards pain relief obviously. Which variety would work best for this? Either option would work great as they do share properties. For more specific information, we would suggest consulting with an Aromatherapist. Thank you! That does make sense. I purchased Sacred Frankincense to use in a headache blend that I make. Would that be the wrong option since sacred is more for skin care? Would it still work? Much has to do with where the frankincense is harvested. Each area can produce a different chemical concentration, which makes one particular type better for certain ailments. Sacred Frankincense is considered the best of the best. I would like to use this oil mixed with carrier oil for my face. What is a good ratio for best results and safe amount? I use a 4 oz glass bottle and mix olive and melted coconut oil - then I add 10 - 20 drops of Frankincense, as well as some vitamin E oil and whatever else I have...maybe a bit of melted cocoa butter or a couple drops of lavender (any oil you like for your skin type). I keep this in the shower and put about 15 drops on my face - try not to wash off - pat dry and it soaks right in. I have dry skin and this doesn't interfere with my day cream or makeup routine. Are these oils able to be taken orally like young living? BEST ANSWER: We feel that essential oils are very potent and can be dangerous if not used correctly. At this time, we do not recommend ingestion because the body can safely absorb essential oils by topical application or diffusion. However, all of our oils are 100% pure, natural, and authentic. They are of the quality to use them internally with wisdom and safety. If you do choose to ingest the oils, we suggest consulting an Aromatherapist or trusted health professional for guidance. As a company we can not provide dosing suggestions or directions on how to ingest if you choose to do so. No matter what Young Living says, you shouldn't be ingesting essential oils at all. You can cause yourself all kinds of health problems. Google it. Can I mix it with a carrier oil and make a small bottle it? BEST ANSWER: Great question! Yes, this can be mixed with carrier oil in any bottle of your choosing. Can this oil be taken internally? BEST ANSWER: Good question! Essential oils are very potent and can be dangerous if not used correctly. What are the best oil(s) to use with sacred frankincense in a diffuser? Or is it okay to diffuse it on its own? BEST ANSWER: Great question! You may diffuse it on it;s own or combine with any essential oil of choice. what is the difference between sacred, serrata and carterii oils? Can this be injested? Is it good for headaches? How is this oil different from F. serrata? Can anyone tell me the general shelf life of this oil? I store mine in a wooden essential oil box, out of the light and non-humid environment. Just wondering if oils go "bad" or if they just start to lose potency after a while? With the cost of this, I don't want to replace it if I don't have too...but I don't go through any of my oils very quickly. Thanks in advance for any help and clarification! I have heard frankincense can be helpful during/after labor/delivery... which version is recommended? BEST ANSWER: Great question! When used properly many essential oils can be safe for pregnant and nursing women, however, we always recommend talking with a trusted medical professional or aromatherapist before usage. Of the three varieties Frankincense Carterii is considered the safest when practicing the guidelines on our pregnancy blog post. Pricing question: if I order every three months and get 5% off, is that 5% off of the regular price of $85 or 5% off of today's price of $60? BEST ANSWER: Any discounts received from subscription orders will be taken off of the retail price or whatever price is available on the website at the time of the automatic order. I'd like to add this to my face skincare regimen, and I've seen several people who apply it to their face with a moisturizer. Can someone tell me what moisturizers or oils you add this to, and how much, for a younger looking skin?